Size: 6" x 7 3/4". The map is from the Mercator/Hondius ATLAS MINOR, published in GERMANY in 1609. 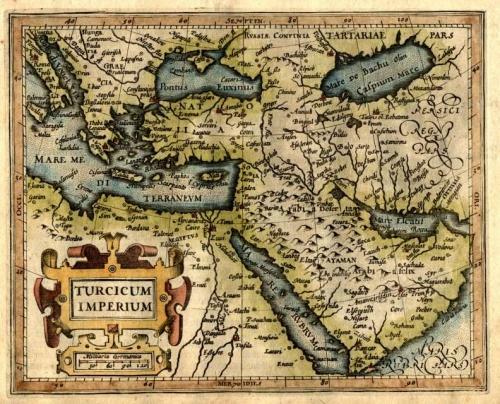 An early map of Turkey, the Arabian peninsular and the eastern part of the Mediterranean. In very good condition with rich colours.